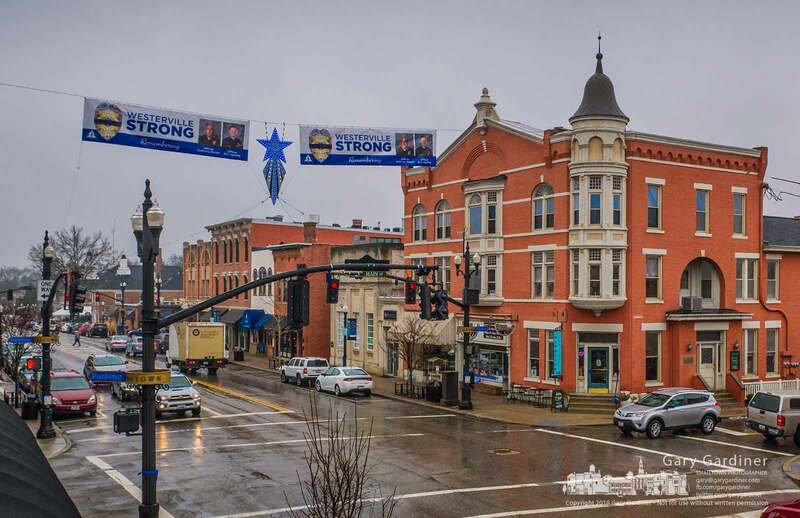 Banners honoring Westerville Police Officers Anthony Morelli and Eric Joering hang on either side of the Christmas Star lit with blue lights at State and Main Streets in Westerville. My Final Photo for Feb. 14, 2018. Thank you. I am honored to be a member of this community and will do whatever I can to support it.